It feels like social media Marketing by Tatts has increased. I am seeing it regularly, through browsers and apps on devices that are scrubbed of cache history. Each ad pitches in-store. However, that is where it ends. While through each ad you can go to their online store, there is no easy link to local retailers, retailers near my then location. If I was a Tatts retailer, I’d want it to also pitch the closest shops open now where I can buy in-store now or soon, based on location and opening hours. It would be easy for Tatts to do. What Tatts is doing now, by showing in-store as a purchase option on their marketing is ticking a box, paying lip service to their commitment to promote in-store purchase. A company that genuinely supports its retail network would make finding nearby retailers easier. 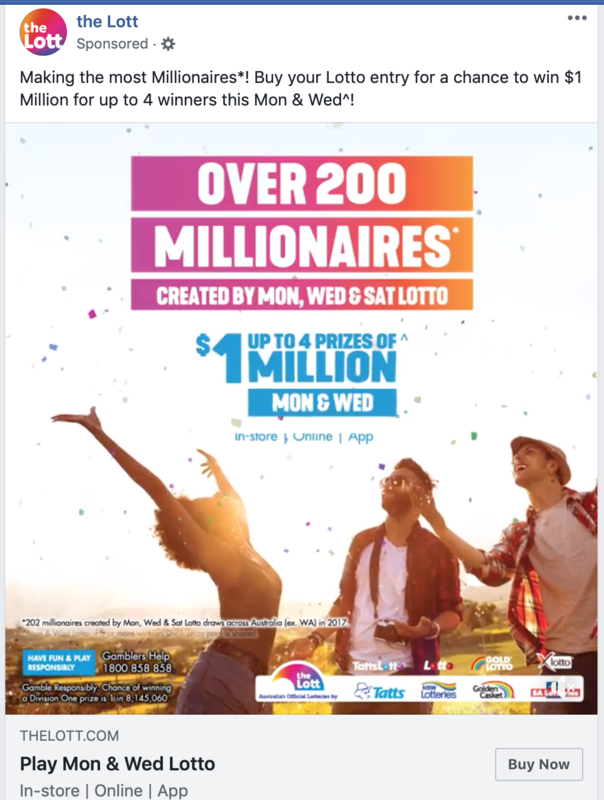 It would also be clever at using tech to enable the sale of lottery products to local shoppers through websites and Facebook pages run by local retailers. Thereby leveraging local retailers for online purchases, supporting local communities, appreciating the extraordinary investment by local retailers in promoting tatts brands consistently and nationally, often in places the Tatts outdoors marketing could not otherwise reach. The current in-store text on Tatts marketing is of no commercial benefit whatsoever to Tatts product retailers in my view. At Tabcorp Investor Day last year it was mentioned that Tabcorp were considering introducing trailing digital commissions for retail partners as a means of minimising friction between the channels. A similar structure has been introduced over the past 12-18 month in the wagering space which has allegedly worked well. 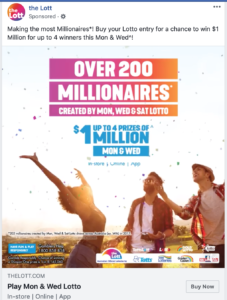 Sounds like such a structure is sadly needed in the lottery retail space also.